Yesterday my family and I arrived in San Diego to start our Spring Break vacation. It’s been wonderful to be together just hanging out. From the beach to the pool, our vacation is off to a great start. 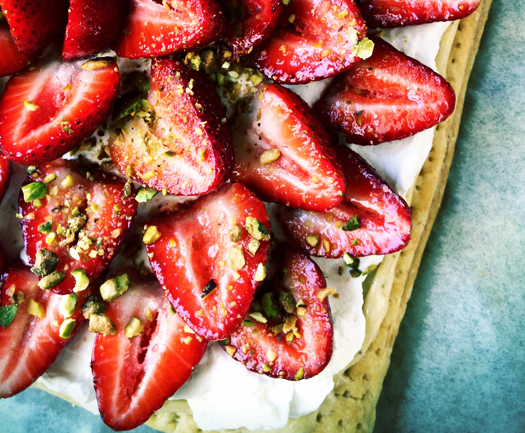 Unfortunately I will not be cooking this week but fortunately I found a photo of this Strawberry Pistachio Cream Tart I took on my iPhone I thought I would share with you. Made with a puff pastry crust and a layer of honey pistachio cream and then another layer of slightly sweetened whipped cream, this easy fruit tart tastes as good as it looks. What I love about this tart is how simple it is to put together but is elegant enough to serve as part of brunch or dessert. Hope you enjoy! 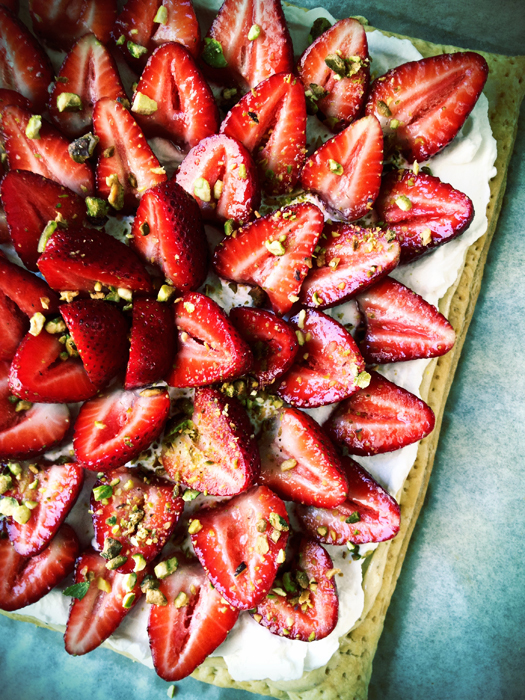 A simple but elegant strawberry tart with honey pistachio cream. Unfold and roll the pastry sheet on a lightly floured surface into a 12-inch square. Place the pastry sheet onto a baking sheet lined with parchment paper. Bake for 15-18 minutes or until the pastry is golden brown. Allow the pastry to cool on the baking sheet. While the puff pastry is baking, prepare the two different creams. Using an electric mixer, whip the cream cheese, pistachios, and honey until well combined. Set aside. In a different bowl, whip the heavy cream and sugar with an electric beater until firm peaks form. Evenly spread the pistachio cream layer over the pastry followed by a layer of the whipped cream. Arrange the cut strawberries with the tips pointing up in layers of circles, starting with the outer one, making your way in. Sprinkle the tart with the shopped pistachios. Made this for my dad for his birthday! He doesn’t like things too sweet and this was a hit! Thanks for the recipe! perfect timing! our strawberries are just starting to come in. i can’t wait to make this. Just found your blog as I was searching for an authentic Kalbi recipe (landed on your 2009 post). I love the look of your blog and how friendly it is! I can’t wait for your cookbook in June! 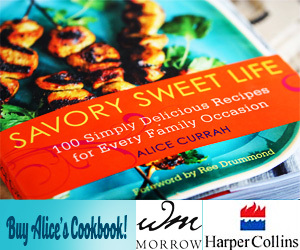 As a mom-food blogger, I am totally obsessed with collecting cookbooks! I’m sure yours will find its way to our chaotic home and kitchen (I have 3 kids, too)! This looks heavenly – those strawberries plumped up and sweet, too. This dessert is unique and fabulous sounding! Great idea!